The struggle to put healthy, flavorful meals on the table even on busy weeknights is one we all face. There are a lot of doodads and devices that purport to make it an easier task, but who really has all the counter space for all of these extra appliances, let alone the money to keep buying them? 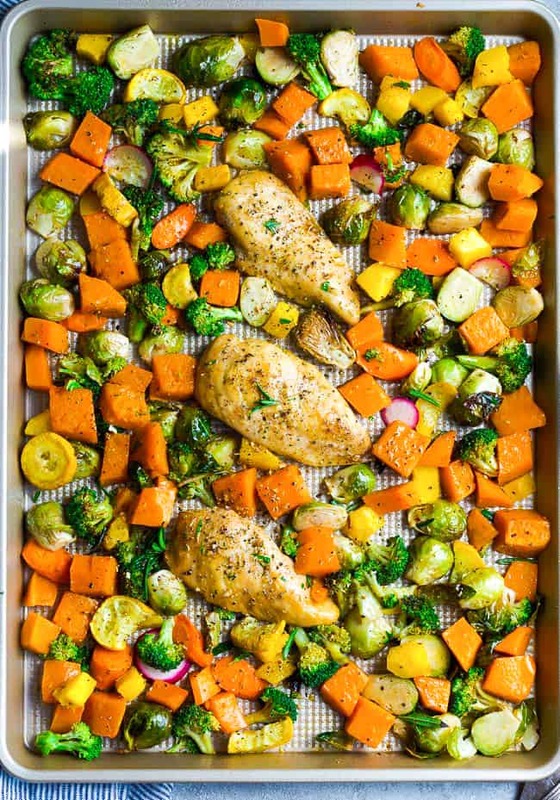 Luckily, there’s a truly easy solution for those of us who want something simple: sheet pan recipes. 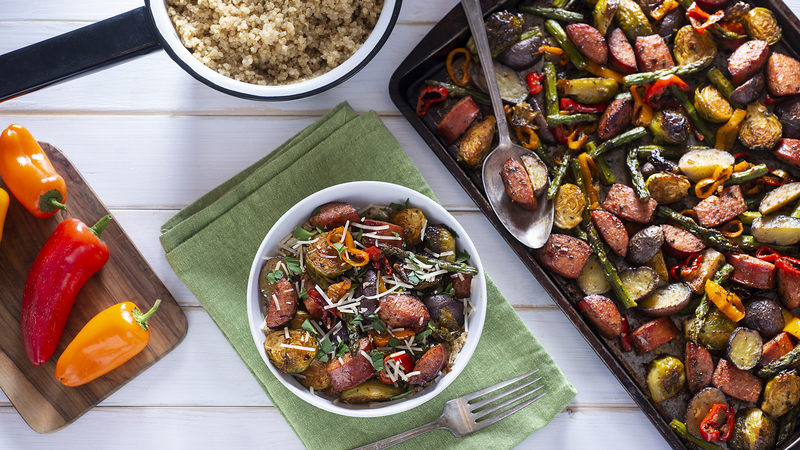 Instead of relying on pressure-cooking or slow cookers, just add your favorite protein, some veggies and seasoning to a rimmed sheet pan and bake away. These recipes balance the ingredients for you, so everyone’s plate is filled with an assortment of tasty food. At the end of cooking, all you’re left with is a single sheet pan to clean up, so you can spend your evening doing things you actually enjoy instead of up to your elbows in soapy water. 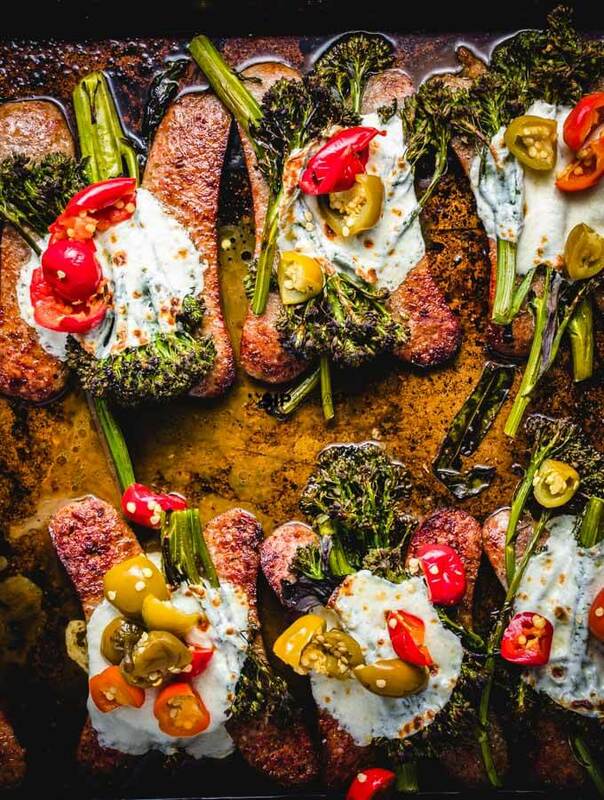 Take a look at these 12 sheet pan recipes, and get ready to revolutionize your weekly menu. 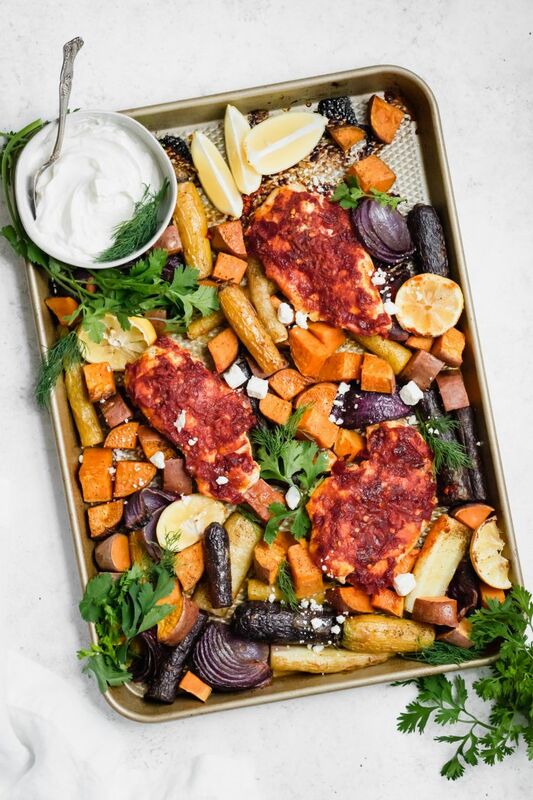 Spicy harissa chicken will take your taste buds by storm, especially when served with plenty of veggies, lots of fresh herbs and a tangy lemon yogurt. Sometimes simple is best! 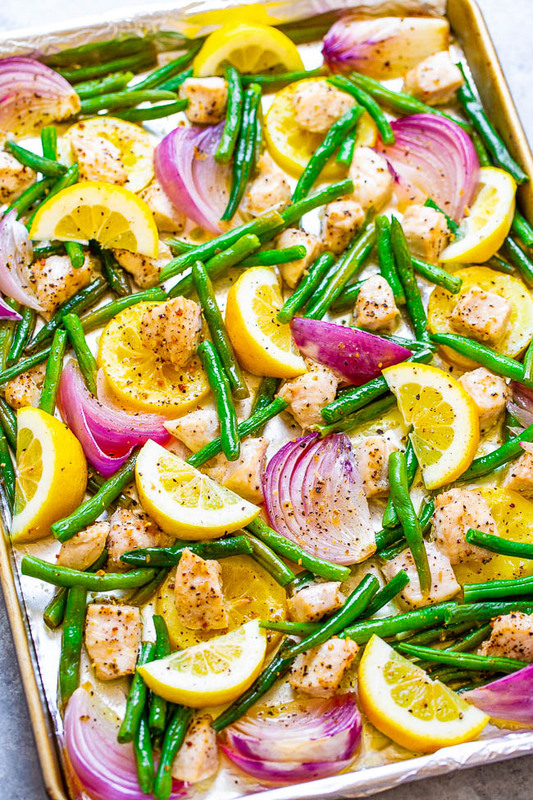 The classic combo of lemon and pepper work wonders on this mix of chicken, beans and onion, and best of all, it's ready in just 15 minutes. Craving Italian, but don't feel like dining out? This date-nightworthy recipe will satisfy your appetite, and you won't even have to juggle multiple pans on the stovetop. Gnocchi, but light? It's possible and easy! 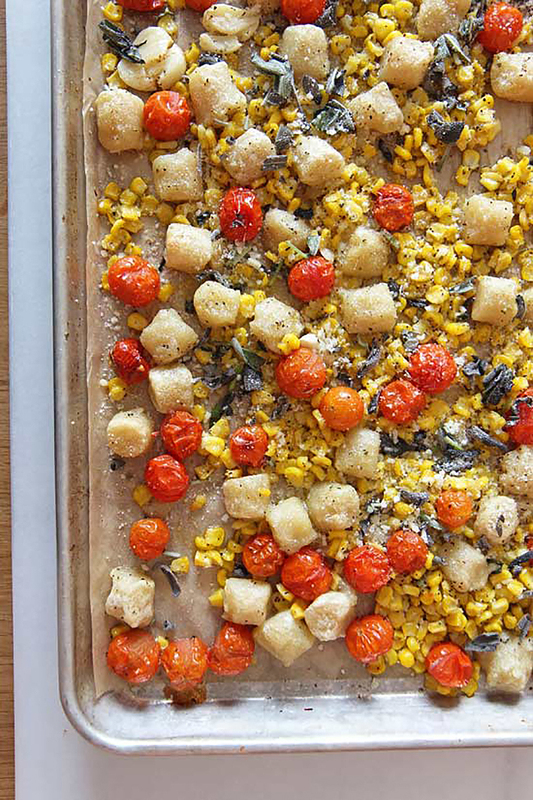 Just bake some up with corn and cherry tomatoes for a dish that's bursting with sweet and savory flavor. 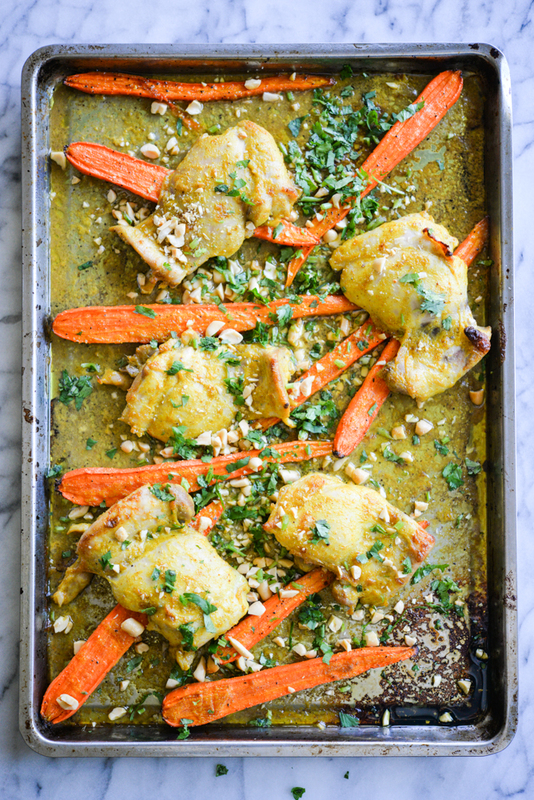 All the goodness of a fall meal without any of the pomp and circumstance, this tray of chicken with autumn veggies will hit the spot even when you're pressed for time. Usually, when we make curry chicken, we have to lug out our Dutch oven or slow cooker, but this recipe transforms it into a fast weeknight meal. A quick marinade tenderizes the chicken, and then you just bake it up in the oven with your favorite veggies. Image: Taste and Tell Blog. 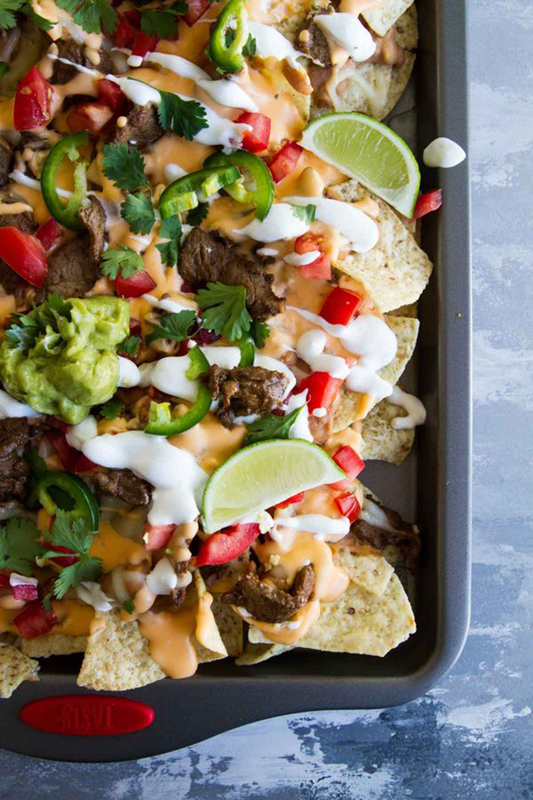 Nachos for dinner are always a fun option, especially if you load them with veggies and lean meat for protein. Make them on one big sheet pan, and you'll have enough for the whole family. 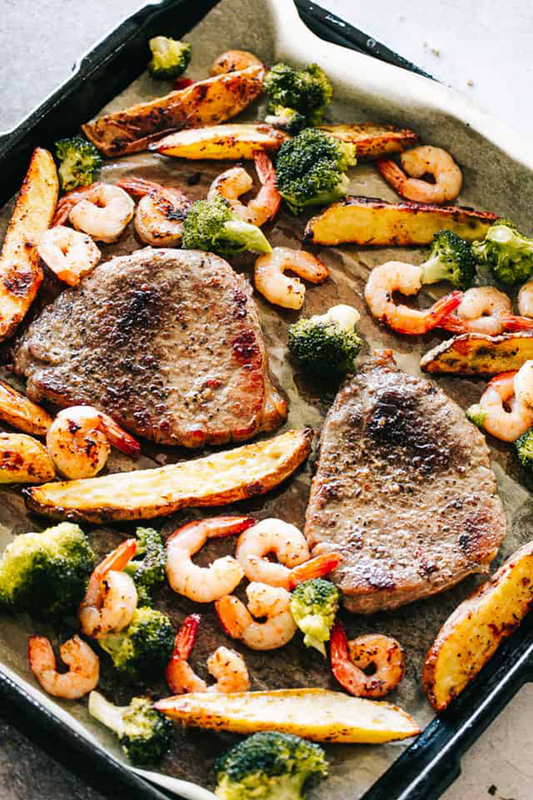 Succulent shrimp, juicy steak and one sheet pan — you'd never guess this elegant meal easily comes together in less than an hour. 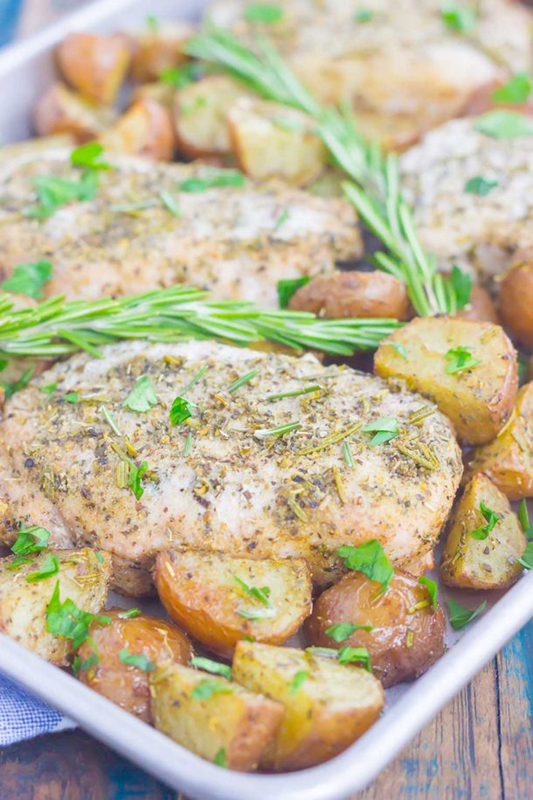 Herb-roasted pork chops and potatoes are even tastier when made in the oven, and there are no messy splatters to clean up when dinner is over. Image: Art of Natural Living. 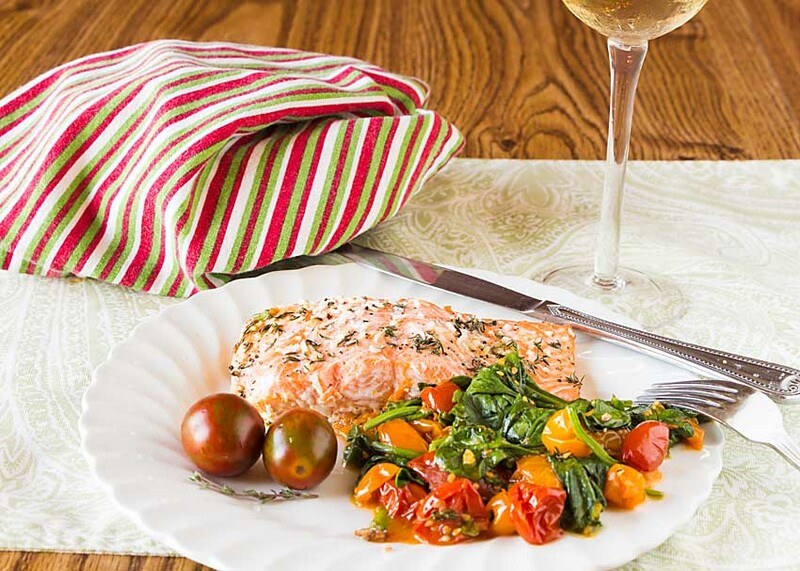 Decadent salmon cooks up quickly, and thanks to its richness doesn't dry out like other fish can, which gives your veggies time to cook to perfection. 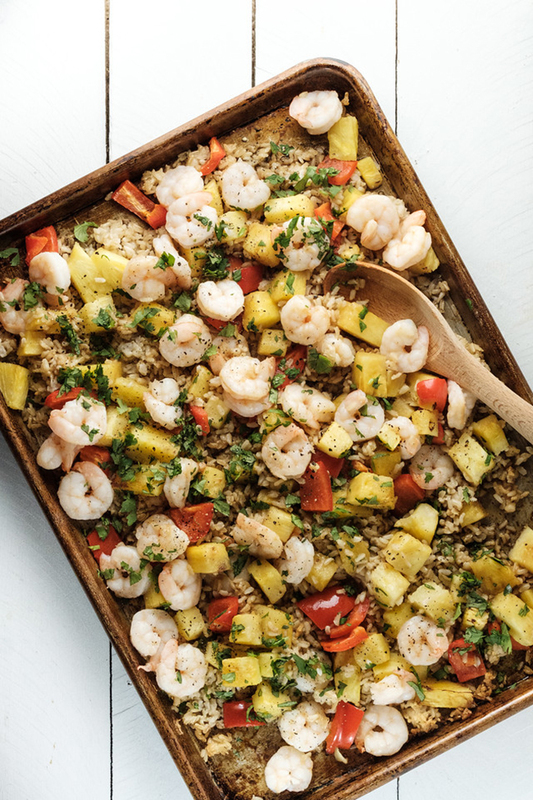 Skip takeout and opt for this pineapple shrimp and rice instead. It'll be ready even faster than it takes delivery to get to your door. 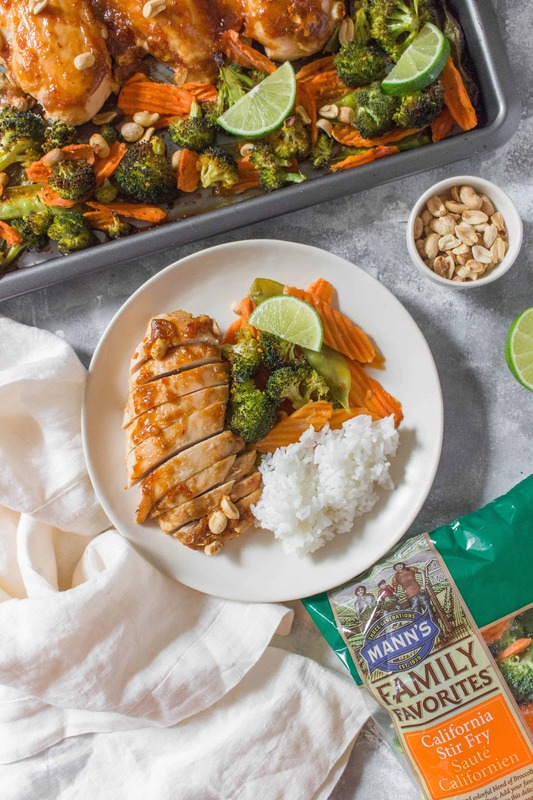 Get your meal prep done in a jiff with next to no cleanup by cooking everything you need for a week of meals altogether on one sheet pan. This Thai chicken will make lunch a highlight of your day.